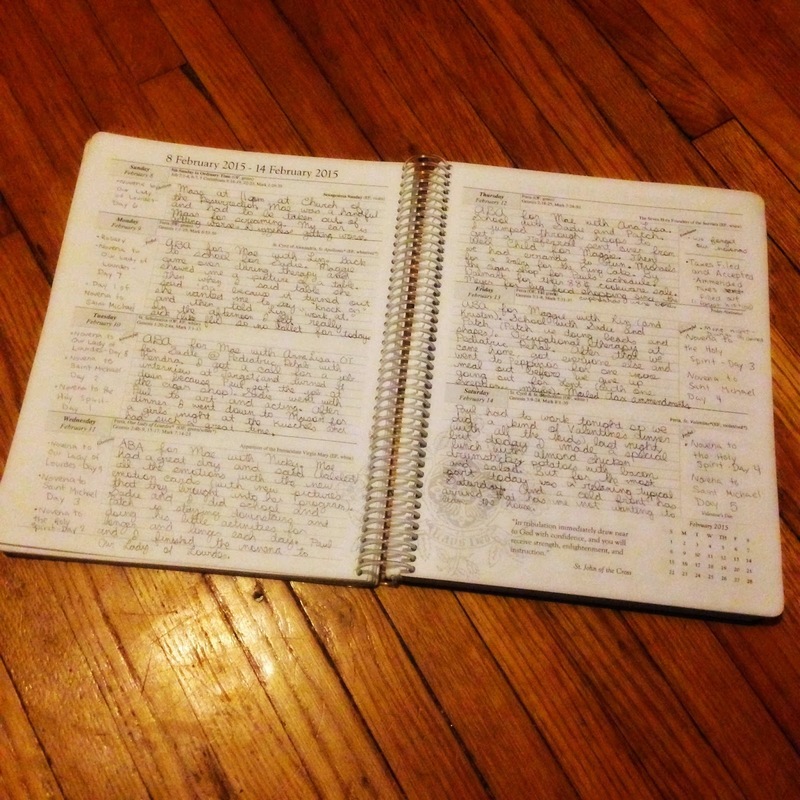 Someday I'll Sleep Autism Blogs: The Planner: Because Inquiring Minds Want to Know! 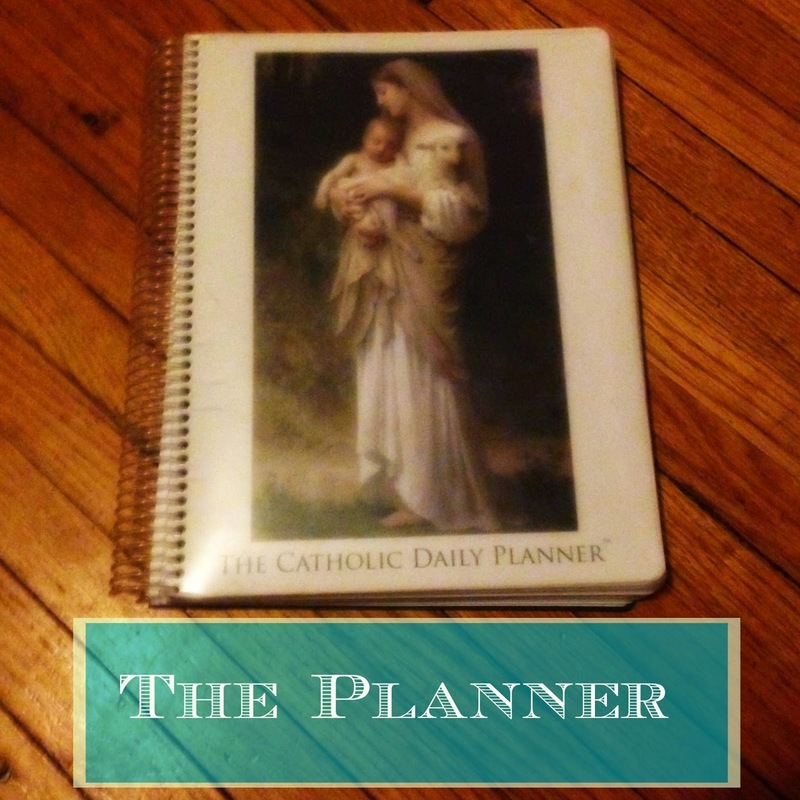 The Planner: Because Inquiring Minds Want to Know! Thank you to everyone who's prayed for our family this past week. 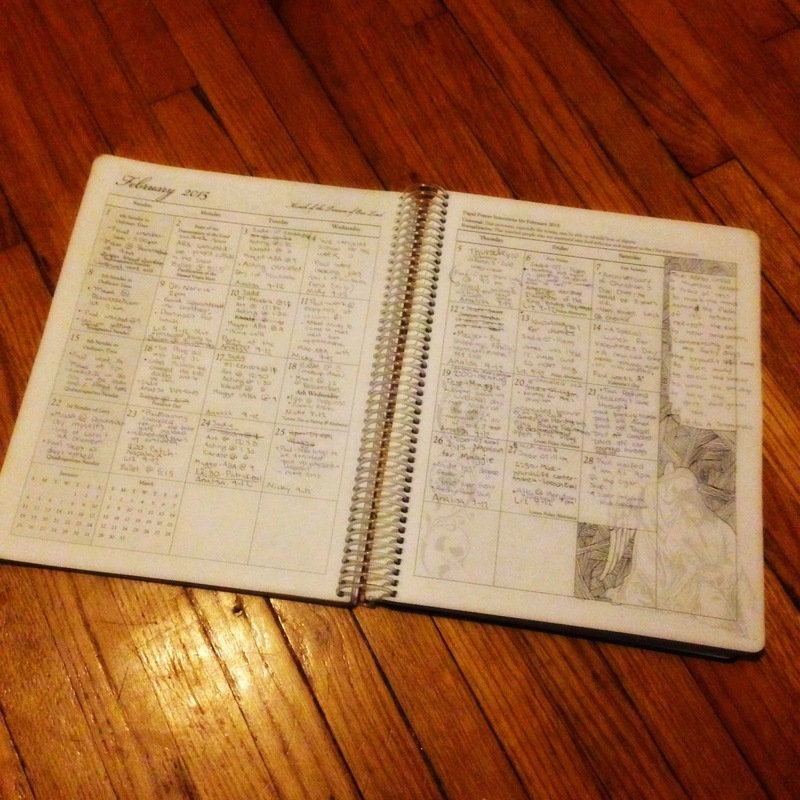 Last night I was thinking of possible writing topics and when my during-the-daytime fast from Facebook ended I brought up my notifications and saw that several people were asking about the planner that I use. I answered their questions and then realized that, between Instagram and Facebook the most frequently asked questions I receive are probably about my planner. And that makes this the perfect post for this morning! This past summer I purchased a planner from Michele Quigley's website (and for the record, I'm not being compensated for this review! I just bought my planner and really like it, so I'm sharing it with you). I picked out the picture on the cover and added on the meal planning section and lesson planning section in the "add ons" option and then impatiently waited for it to arrive. Unfortunately, since I ordered it right before we left for California I knew that I would have to wait until I got back to see it, unless it arrived in less than a day, which let's face it, just isn't going to happen when you're ordering a custom creation. Thankfully it arrived quickly, before Paul flew out to meet us, and so he brought it out with him. 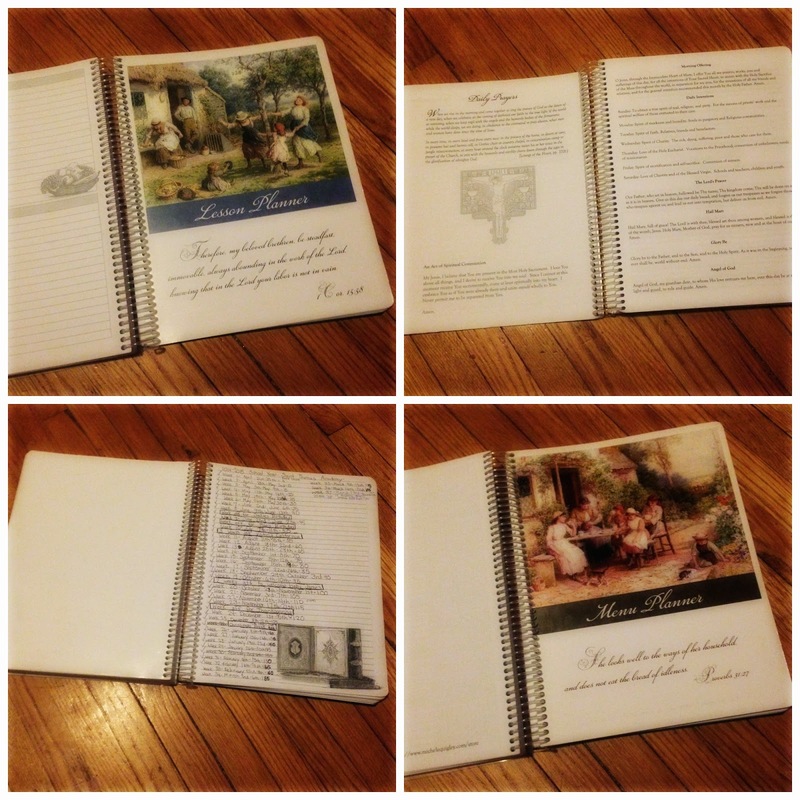 The planner was every bit as lovely as it appeared in the pictures on the website. There's a section with prayers. There are many quotes from saints throughout the pages. The monthly section has the Holy Father's prayer intentions. The lesson planner has quotes, from saints and from the Catechism about educating children. 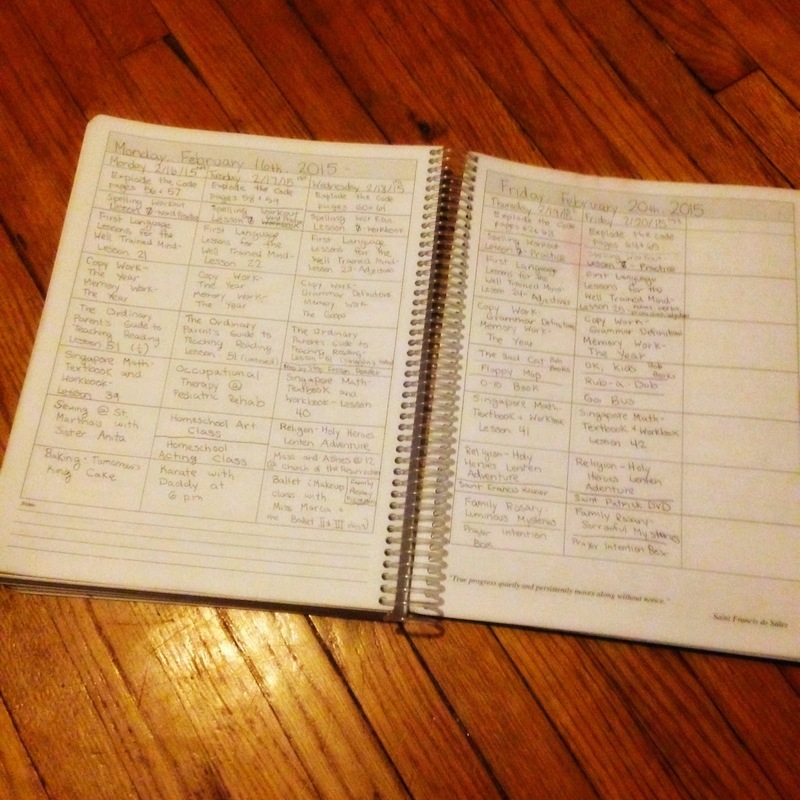 I mapped out our plans for the school year on one page. The phone numbers for all of the various doctors and social workers and therapists we see fill another. And feast days from the old and new calendars along with the chapter and verse numbers fo the daily readings are included too. Here's a look at the upcoming month. 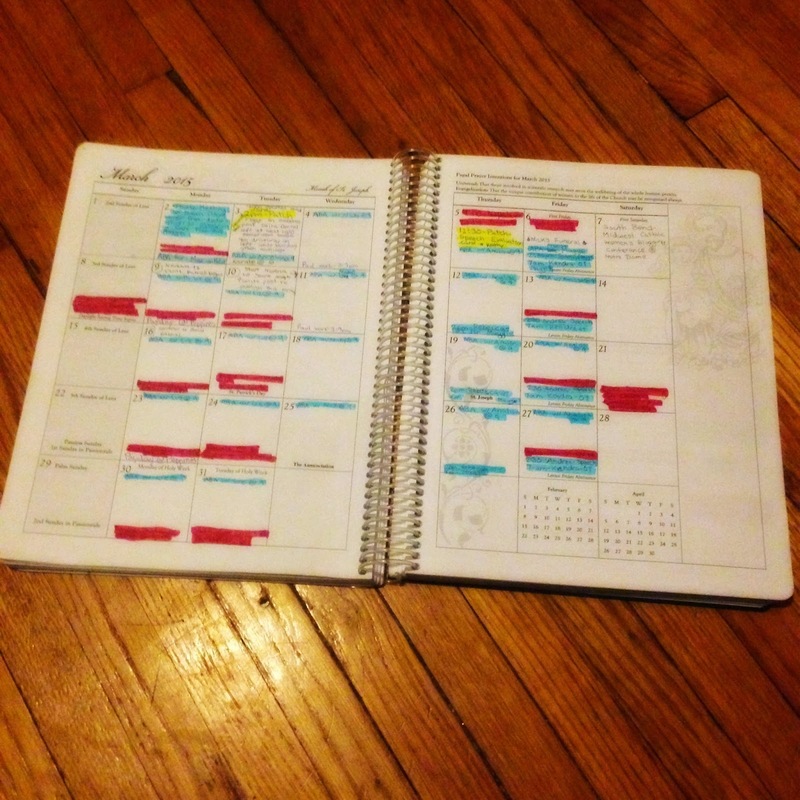 I've already filled in appointments and therapy sessions by kid (after assigning each kid their own color (a few of the pink ones are ballet and karate for Sadie, but all the rest are doctors or therapy... being we have a busy month coming up). Don't worry, there's nothing really private here. They almost all read like a who's who of daily therapy sessions and school. And that is my planner. As someone who's bought many, many planners over the years this is the first one that I've consistently used every, single day. And even when I'm out with Mae at appointments people ask where it's from, so it really is as lovely in person as they appear on the site. The planners start the year in August, and the new one's are going to be available some time this month for next year.